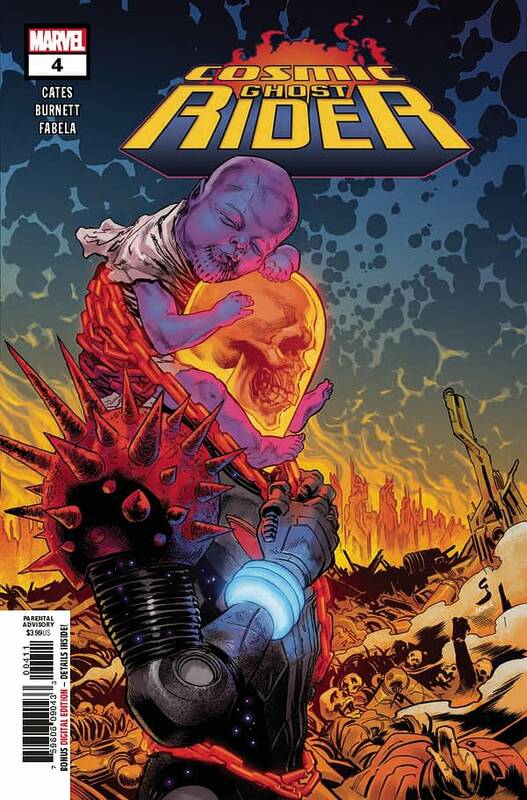 The Cosmic Ghost Rider series has given us a billions-years-old Frank Castle, transformed first by Mysterio into the Ghost Rider, then by Galactus into a Cosmic Ghost Rider and herald and is now running around time trying to put right what once went wrong, in this case stopping Thanos becoming the genocidal maniac that we know and love, by raising him as a child to be something else. Well, he became something else alright and has done his own time travelling to stop a bunch of superheroes from undoing that change. 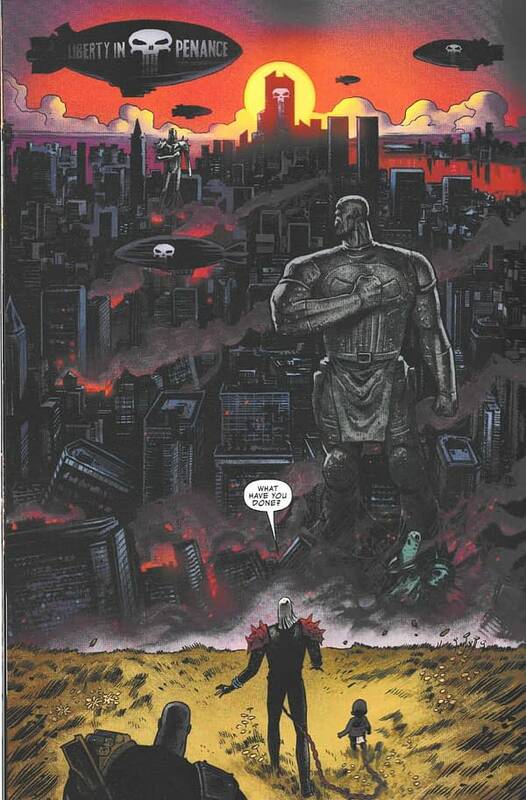 Because we have now seen that Thanos has become a Cosmic Punisher instead. And his perfect world has a price.